Weâ€™re David, Maggie, Harriet and John Kelly. We run about 120 breeding females, having founded the pedigree Limousin herd in 2002 with two heifers from the â€œSarkleyâ€ herd. 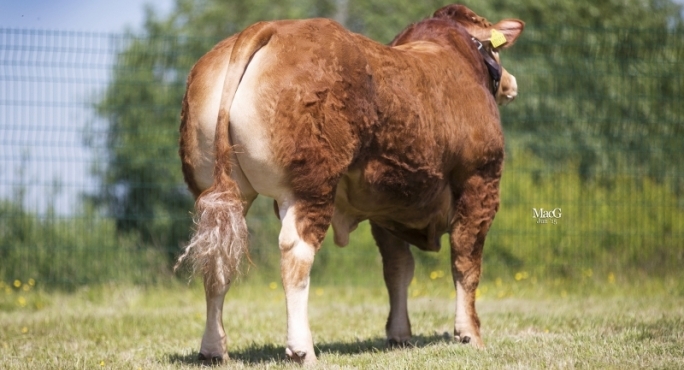 Prior to going into pedigrees, at Nether Hall Farm there was a commercial herd of 240, mainly Limousin X cows, all put to Limousin bulls. Our first, and fondly remembered, Limousin bull was Hartside Monopoly. We're David, Maggie, Harriet and John Kelly. We run about 100 breeding females, having founded the herefords in 2013. Our aim is to breed easy calving short gestation herefords that grow with good confirmation, are fertile and the females are milky and good mothers. With this in mind we have imported embryos from Australia (polled) and America (L1 Horned) and are very excited with the results. We all enjoy the cattle, and work with them as a team, with help from local farmer's son Patrick Booth.